On Monday February 25, during our weekly staff meeting, we talked about how our good ole faithful shelves were falling apart. 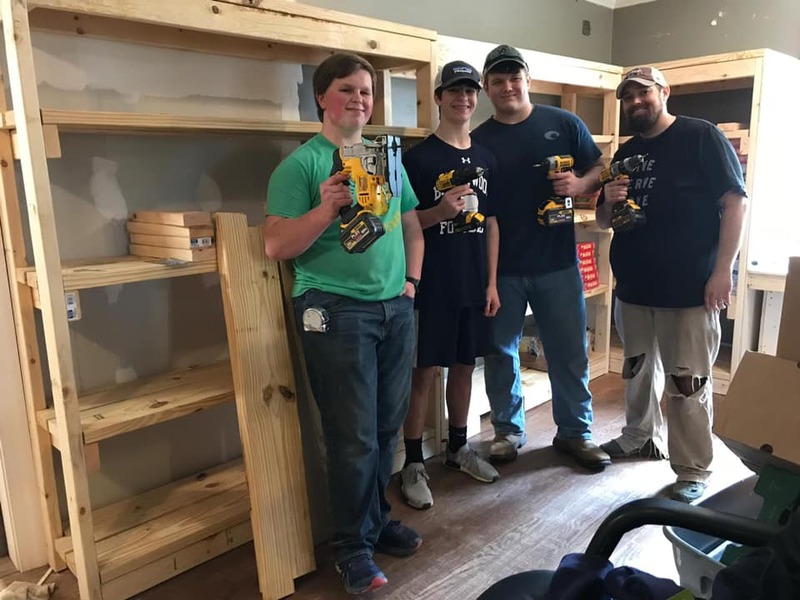 By THE FOLLOWING Monday, March 4, we had new shelves in place thanks to carpenters from Sketches & Screws Design Co., Grace Klein Construction, Inc., the youth of Deerfoot Baptist Church, Meadow Brook Baptist Church, LIFT Student Ministries-Morningstar UMC and other community volunteers. Our staff dismantled the old and worn out shelves right after that first staff meeting. We reached out to Jacob Dorris of Sketches & Screws Design Co. and he and Jason, of Grace Klein Construction, Inc. collaborated together to create a basic, functional and durable design. Jacob is giving 10% of all his sold work to bless Grace Klein Community, so he contributed the first 2×4’s for the project. Deerfoot Baptist also brought some lumber to contribute. 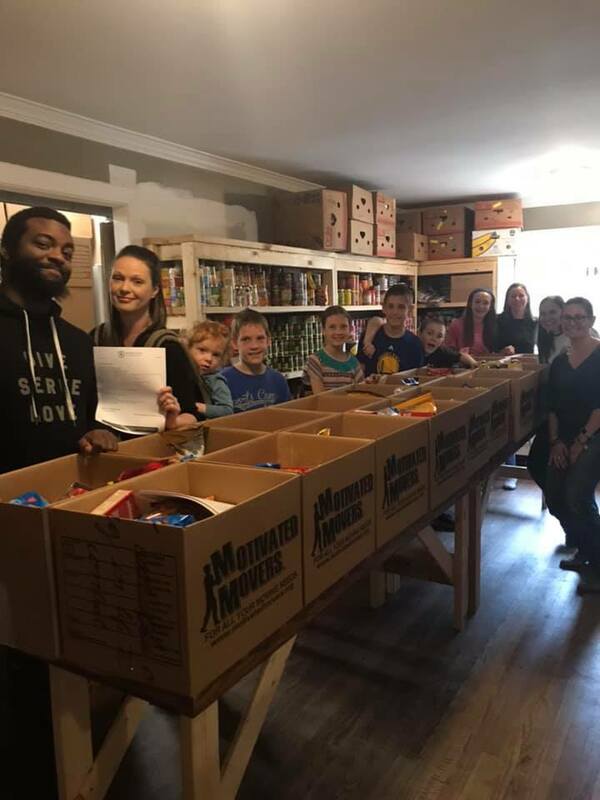 Thankfully, we had recently received a $15,000 grant from the Independent Presbyterian Church Foundation towards our Food Delivery and Family Assistance Program. What a great way to apply some of the grant money towards the cost of our new shelving! 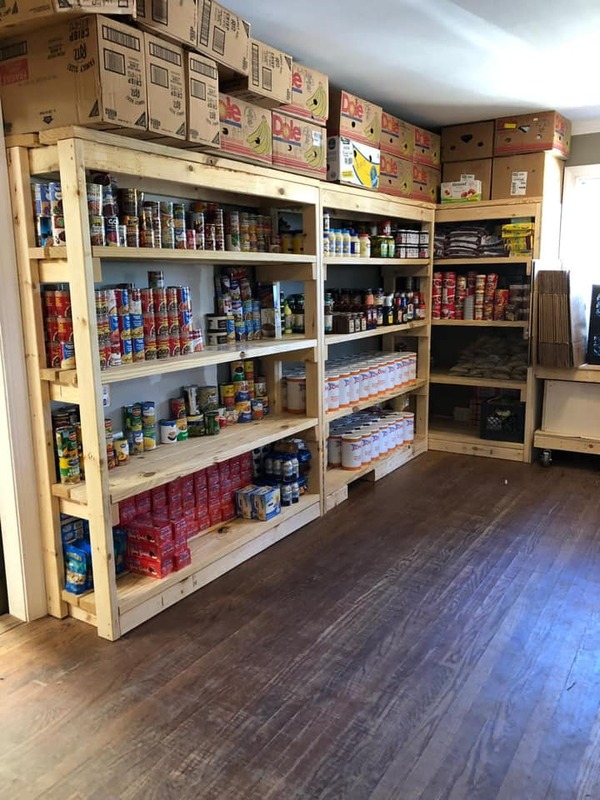 We realized the urgent need of replacing the shelves, when not one, but two of the shelves fell on different staff members due to the amount of food we store and the weak strength of our shelves. We thank God that the old shelving never fell on any of our amazing volunteers and when the shelf issue came up at staff meeting, we wanted to ripped those shelves out immediately before anyone was hurt. 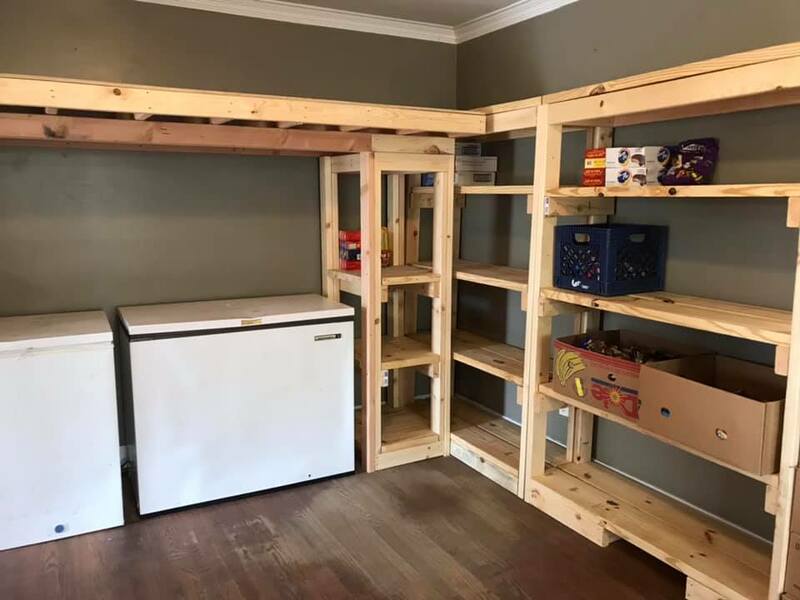 We found the shelves a true safety issue and it is amazing that our Father provided the new shelving so quickly. 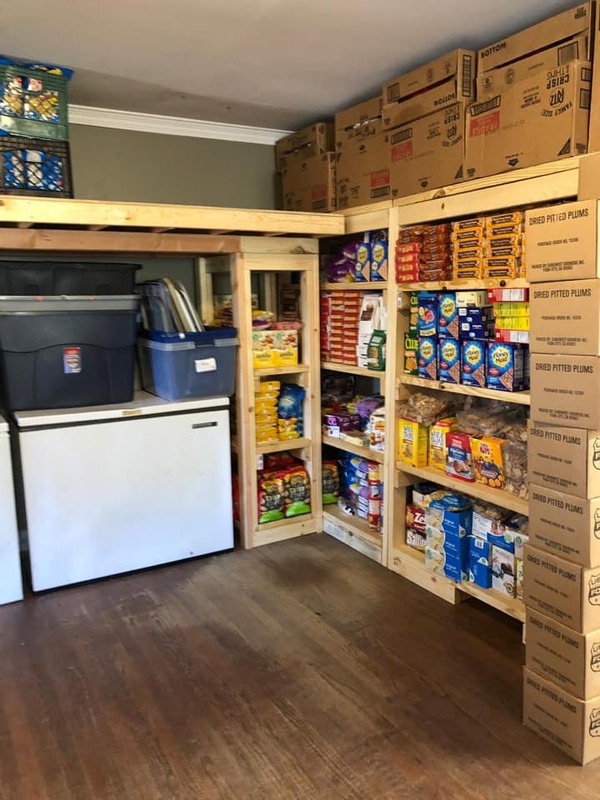 With the growth of our food delivery program, we need more space to store food each month as we prepare for food delivery. 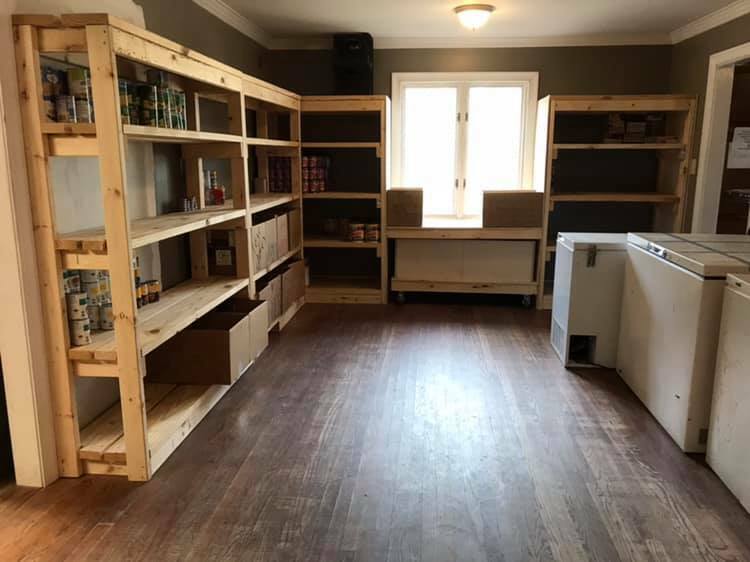 Now, the shelving is stronger and designed in a way that stores more food while using less of our flooring space. What a win-win with the volume of volunteers that come in and out of our facility. Also, our of our friends at Shades Mountain Baptist built us tables for our monthly Friday food delivery prep day. The tables allow us to prepare 20 boxes of food at a time without having to bend over. When we tried the tables out, we improved our efficiency by 45 minutes. Wow! Also, we are able to use the tables the rest of the month for staff desks in our community office. If you have not come for a tour lately at our office, please come on by. 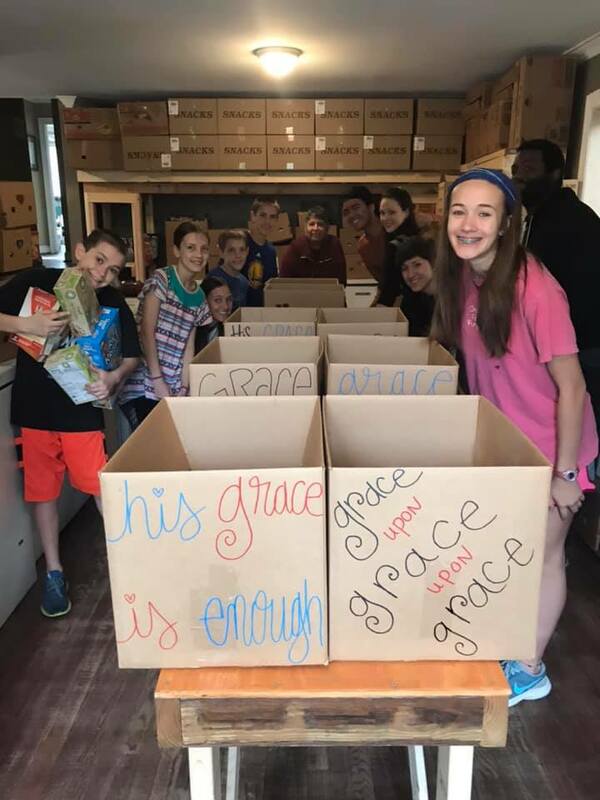 We would love to show you what the Lord has been up to!! We are blessed recipients who are honored to be called His servants.